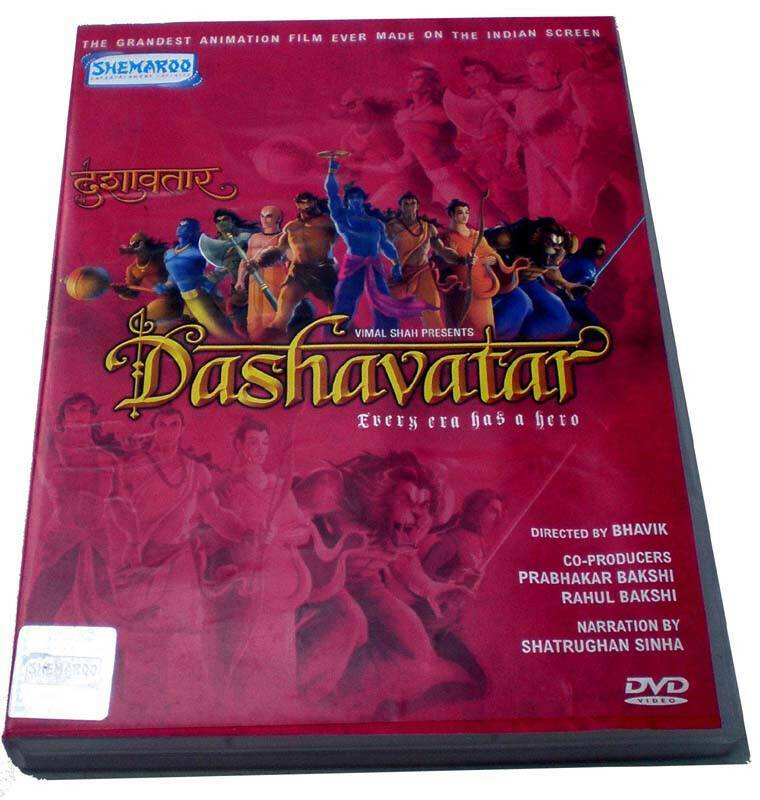 It is fascinating to watch the various forms Lord Vishnu takes to save the world again in this animated adventure, "Dasavatar." The grandest animation film ever made on the Indian Screen. Evil has been present in all stages of the evolution of mankind Dasavatar shows the triumph of good over evil. Audio is in Hindi only. All-region DVD. NTSC / PAL Compatible. Plays world-wide. Subtitled in 4 Languages: English, French, Dutch and Arabic. Lord Visnu is the Supreme Being, protecting the Gods as well as the mortals like us, from evil; and He has done so by incarnating in ten avatars: Matsya, Kurma, Varaha, Narasimha, Vamanadeva, Parshuram, Rama, Krishna, Gutam Buddha and Kalki. This larger-than-life saga hurtles through a sequence of heroic exploits of the various avatars of Lord Vishnu and is packed with action, drama and adventure. The Dashavatar movie explores the origin and the dynamism of each of these avatars, woven into an interesting narrative. It promises to be a magnum opus with a superlative quality of animation, voices of many acclaimed actors and mellifluous music. Dashavatar has a fascinating story telling pattern in which the old world sensitivities would appeal to the modern mind.